Dinh Huong Islet or Hon Dinh Huong in Vietnamese. It's close to Hoa Cuong fishing village. From the village look to that islet it's look like Dinh Huong - Dinh Huong mean incense burner. How Dinh Huong islet is unique? Situated about 6 km from Bai Chay Tourist wharf in the South west of Dau Go cave. It's location on the way from Thien Cung cave to Ti Top beach. The islet consists of only one big stone in the kind of an incense burner. When the tide is low, we can see its four hooks beneath. 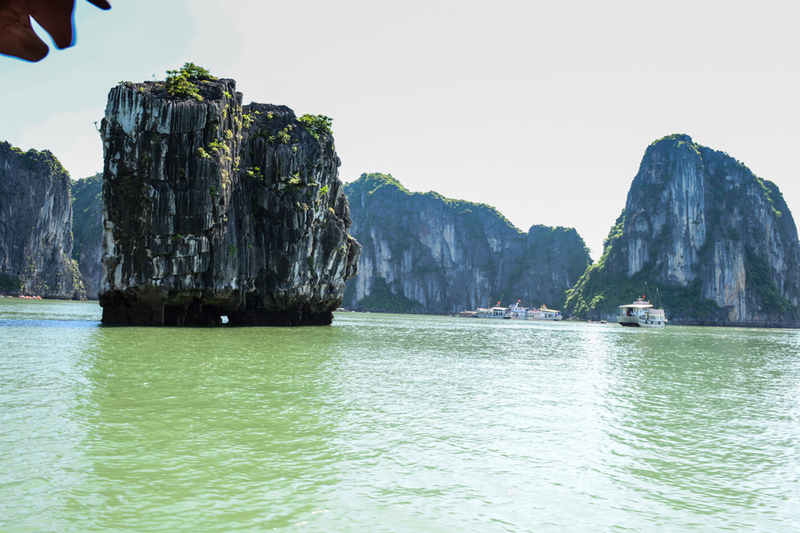 With this kind of shape in the majestic setting of turquoise seas and waters of faraway hills, the islet feels just like a limestone incense burner devoted to national heroes that died to defend the nation. Its fascinating shape isn't just attracts visitors but additionally made the appearance on the Nation’s 200.00 VND bill as another proof for the wealthy and beautiful creative thinking about Vietnamese people. 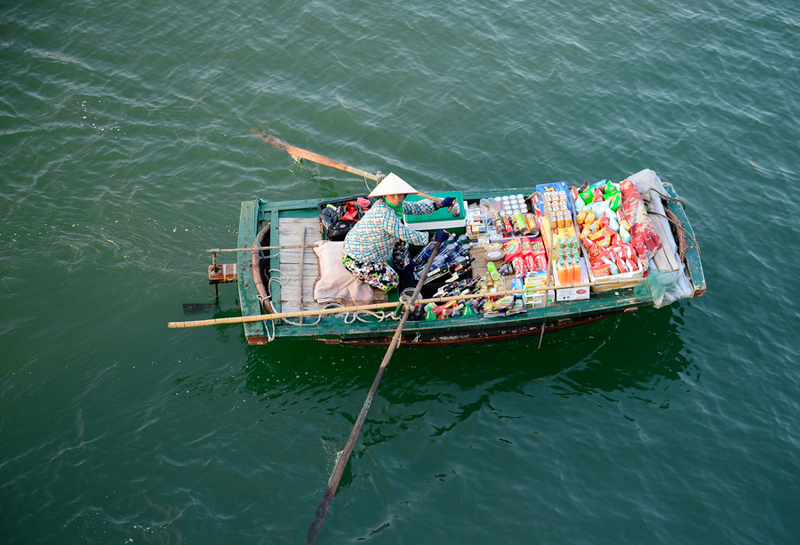 How to get to Dinh Huong Islet? 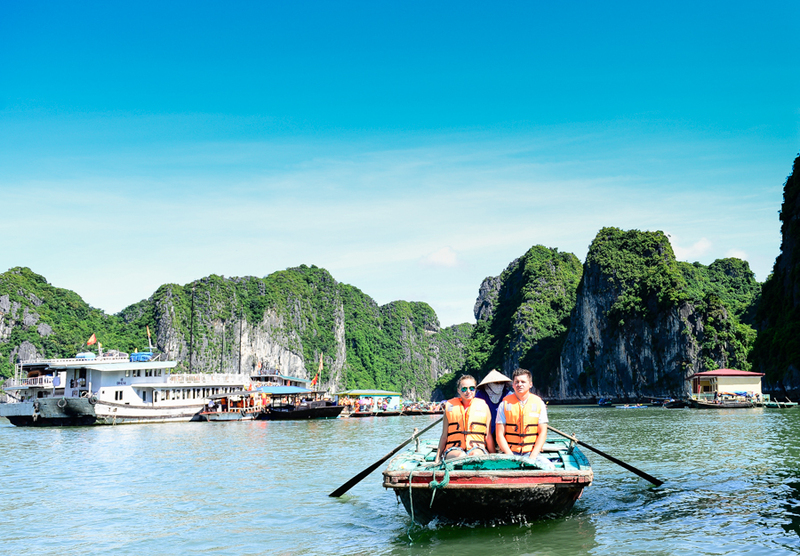 It's very easy if you do 1 day Halong Bay tour itinerary route - the cruise will bring you to this village. It's available if you take 2 or 3 days cruise Halong depart from Tuan Chau tourist center.